January 7, 2019 – Announcing the selection of Jan Kabbani, Russ Lyon Sotheby’s International Realty among America’s Top 100 Real Estate Agents® for 2019. Selection to America’s Top 100 Real Estate Agents® is by invitation only and is reserved to identify the nation’s most esteemed and skilled Real Estate Agents and Brokers with a history of routinely selling homes above market value. Members are selected through a comprehensive multi-phase selection process involving proprietary algorithms using advanced data analytics to assess a broad array of criteria and data for each candidate, including (but not limited to) the Real Estate Professional’s total yearly sales volume, notable above market value sales, luxury home sales, efficiency rating for closing sales, lifetime professional experience, client satisfaction ratings, and other notable recognitions, among many other proprietary factors. Based on these criteria, a measure/rating for each Real Estate Professional is established indicating their relative effectiveness in closing high-value sales above market value in comparison to other Real Estate Professionals in their region. Accordingly, the most efficient and effective Real Estate Professionals among the community are then identified for selection among America’s Top 100 Real Estate Agents®. 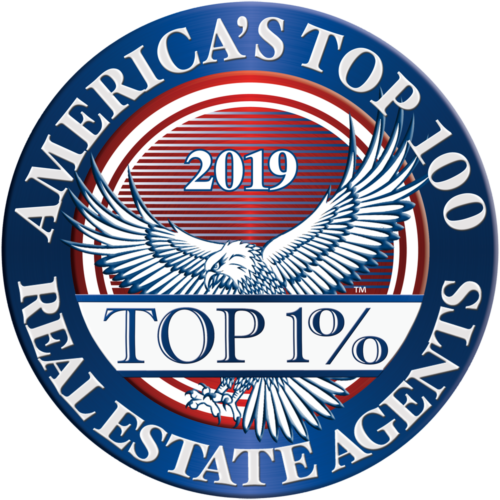 Only the Top 100 qualifying Real Estate Professionals in each region will receive this honor and be selected for membership among America’s Top 100 Real Estate Agents®. With these extremely high standards for selection, less than one percent (1%) of active Real Estate Professionals in the United States will receive this honor — truly the most exclusive and elite level of Real Estate Agents and Brokers in the community.